The ABC drama, How to Get Away with Murder, is a series not for the faint of heart. 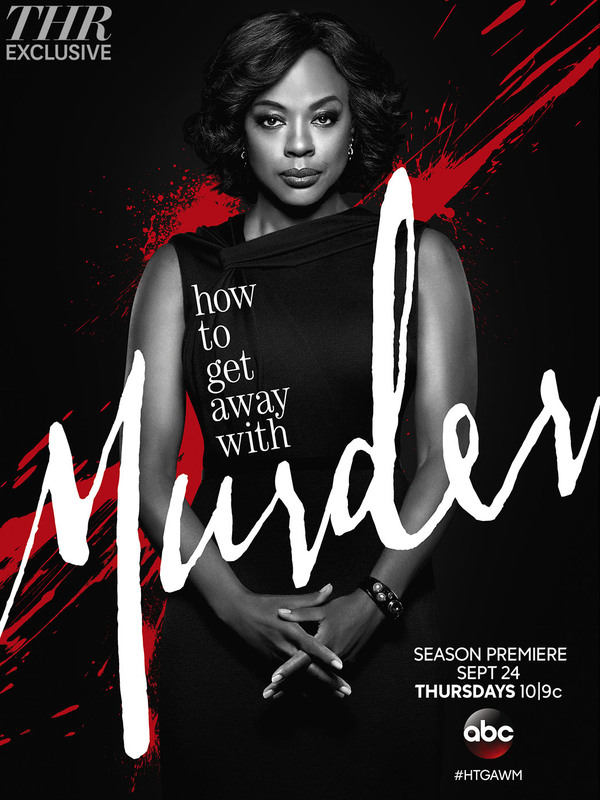 The show centers around defense attorney Annalise Keating (great acting by Viola Davis by the way) and how murder victims keep popping up around her where she may or may not be involved. The second season opens with an intense scene where Annalise has been shot in the chest and subsequent episodes deal with the events leading up to this one scene. Just who shot her and why did it happen? Of course, this is a great time to do some medical analysis of her EMS rescue. What’s follows is a conversation between two medics who are taking her to the hospital. Medic One: Starting a 16 Gauge IV. Lungs are clear. Need another blood set for a second IV and a BVM. Blood pressure 70/palp. Pulse is thready. Medic Two: Feels tachycardic. I’m seeing some JVD. Might have to do a needle thoracostomy. Need to get ETT right away. Diminished respirations. Chest is clear. Equal breath sounds but respiratory effort decreasing. Just what does all this medical mumbo jumbo mean and is it medically accurate? Well, kind of. When dealing with a trauma patient, getting IV access is paramount. Usually two lines of a large bore gauge is necessary. A 16 Gauge is a large size. And working to get two lines in is accurate. What does BP 70/palp mean? Likely, you’re used two seeing two numbers in regards to blood pressures. Something like 120/72. The top number is what’s referred to as your systolic number– or the pressure inside your arteries when your heart is contracting. The bottom number, or your diastolic number, is the pressure in your arteries when the heart is relaxing. To get both numbers, you have to be able to listen to the blood pressure by using a BP cuff and stethoscope at an artery point– usually at the antecubital space (the crook of your arm.) The first time you hear the heart beat– that’s the first number. The moment you can’t hear it anymore– that’s the bottom number. In EMS, active resuscitation scenes are really loud and it’s hard to hear. There is technique where you feel for the blood pressure but you only get one number– the systolic one. In this technique, you feel where the radial pulse is (at your wrist) and pump the cuff up until you can’t feel it anymore. As you let the air out of the BP cuff, you record the number where you first feel the pulse. In this case 70– which is low. But, that’s why there is only one number and the “palp” denotes it was felt or palpated. Pulse being thready– means it feels thin and weak. Also appropriate for someone experiencing blood loss related to a gunshot wound. As does what the second medic begins to say– feels tachycardic which means the patient’s heart rate is increasing– which is also a sign of blood loss. The main medical inaccuracy with this scene is the procedure one medic says they might need to do– a needle thoracostomy. Just what is that? A needle thoracostomy is done to pull air from the chest that has caused a lung to deflate– here from a gunshot wound to the chest. It is a rescue measure– meaning it will buy you some time until the patient can get a chest tube placed in a hospital setting. But note what the medics say over and over– her breath sounds are equal. These comments denote that her lungs are filling as they should. If one lung was “down” or deflated from the gunshot wound– the breath sounds should be unequal. Generally, you can’t hear breath sounds on the side of the chest where the lung is deflated– or there is very little air moving on that side. The writer has also picked the wrong procedure. When one medic comments– “I’m seeing some JVD.”– this usually denotes an obstruction somewhere in the chest (like a deflated lung or blood collecting around the heart) and blood is having difficulty flowing as it should and so the blood is backing up into the veins. JVD= Jugular Venous Distention and is when the jugular vein is easily seen at the side of your neck because it is filling up with blood. Since the medics state her breath sounds are “clear and equal” then we know the problem is not with her lungs but could be with her heart. The rescue procedure for blood collecting around the heart is called “pericardiocentesis”. Again, Hollywood, I am available for medical consultation. Let’s rescue our characters using the right procedures. If you’re interested in seeing a video on needle decompression (the first) and/or pericardiocentesis (the second)– then watch the videos below. They aren’t gory.